As I am commenting only on dress in this blog, you may read more about Circassian Beauties elsewhere. This woman wears a dress of velvet reaching just below the knee. Women wore this length skirt only for athletics or on the stage, so we can safely assume this woman worked at the latter. The long sleeves with open cuff (known now as “modified pagoda”) are trimmed with lace, matching the hem of her basque bodice and skirt. 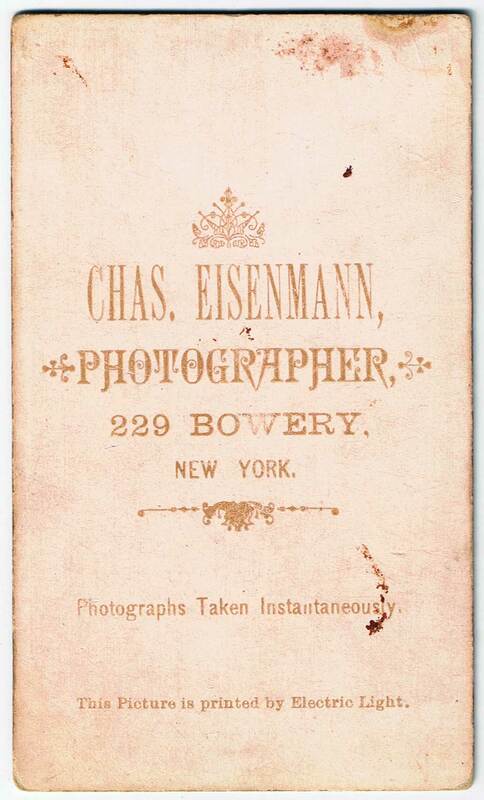 The lace and the hem of her drawers is tinted pink in the original CDV. She wears light-colored stockings and ankle boots with the short heels popular from the 1870s on. Questions: I am uncertain about the date of this image. 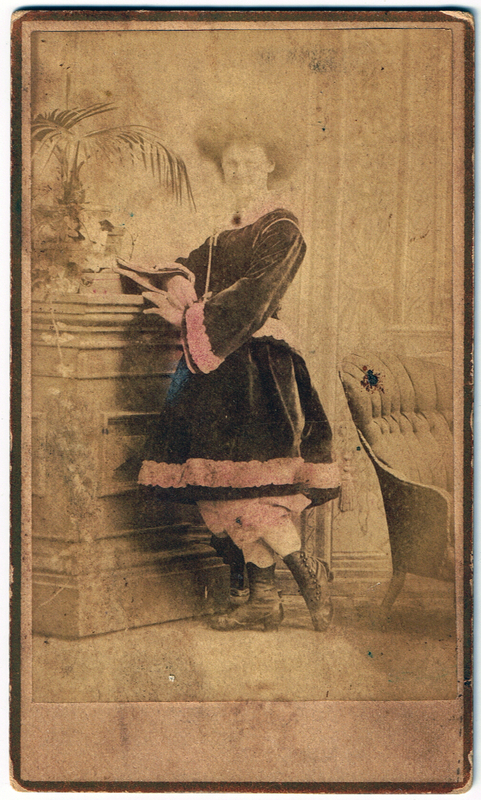 That her sleeve and skirt shape seem particularly 1870s and the image is a CDV, not a cabinet card, which suggests an earlier date, but the backmark reads ” This Picture is printed by Electric Light”. Do any of you have any ideas about this? I am not as well-versed about this period as about others, so I invite you to comment below with additional description and fun facts.